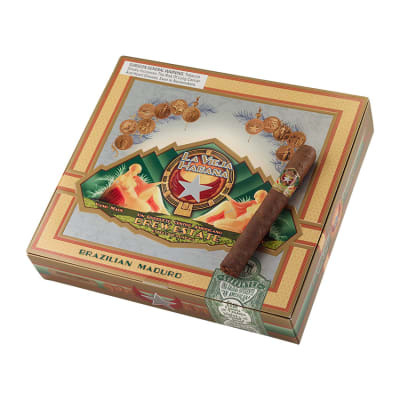 La Vieja Brazilian Maduro Chateau Corona cigars present a well-balanced, full-bodied smoke laced with sweet spice and earthiness. 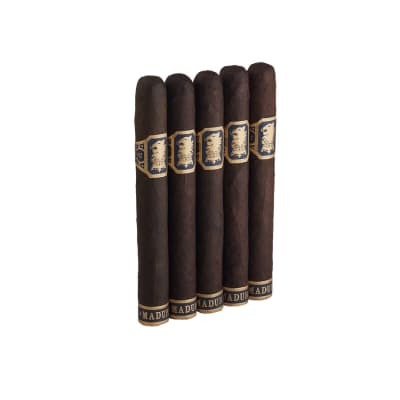 The Corona offers more Maduro for your money than other cigars, with its more wrapper-to-filler ratio. 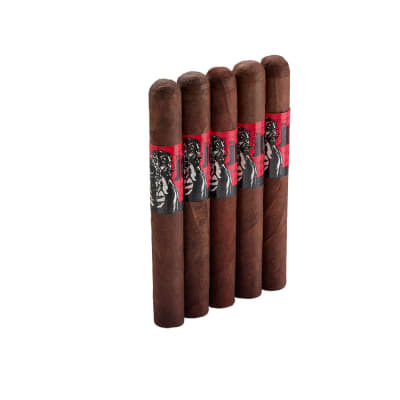 A bold, aromatic value-priced cigar that only tastes expensive. Best all around I?ve tried since The Java! Everything about this smoke is top shelf! 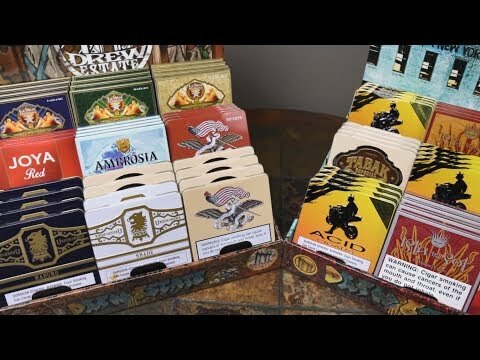 These are Not a bad smoke at all. I usually smoke a larger ring cigar (50 to 54) but I got some in a sampler and was pretty impressed. So I bought a box at auction, and was hooked. Decent burn, consistency was good from stick to stick, really nice draw with penty of smoke, but it the appearance and the taste that really sold me. Dark oily wrapper and that musty,earthy taste. Add these to my favorite list. I was sorry to see the old LVH go by the wayside a few months ago. However, the new LVH which replaced the old LVH are outstanding! What was one of a few favorites in my humidor has become the top dog. 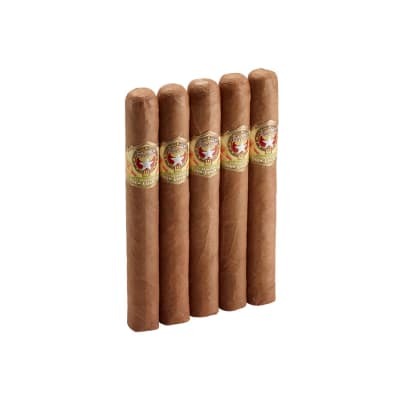 These cigars offer the best quality for the money that I've found. 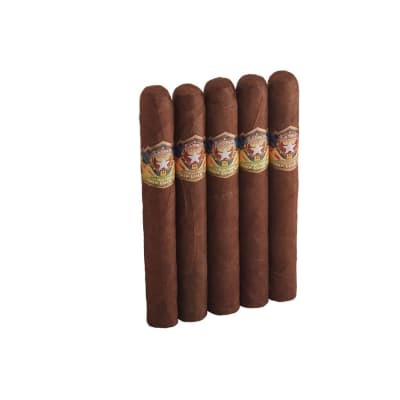 Sure, the burn might be a little uneven from time to time, and you might get a little short filler in your mouth....but the taste and aroma of these cigars is outstanding. I've got three boxes in the mail that I just won in the auction site which will be put to good use working in the yard..at the golf course...walking the dog. The friends I've given them to are skeptical when I tell them how little I paid for them, but literally everyone says the same thing...they taste great. I highly recommend.